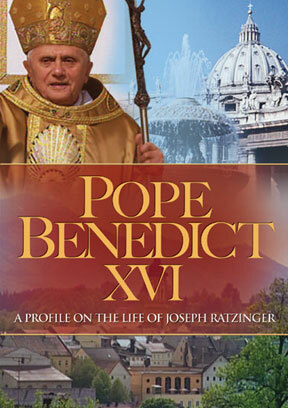 Here is revealing insight into the life of Pope Benedict XVI. The filmmakers trace Joseph Ratzinger’s life from birth to the present day, taking us through the tiny Bavarian towns of Freising and Munich where he spent his childhood and youth, to his pastoral service and ultimately his appointment as the head of the Catholic Church. The film includes unique video and photo archives and features interviews with friends of his youth, fellow countrymen, schoolmates from the seminary, and others who knew him. Narration is provided by the Pontiff's older brother, Fr. George Ratzinger, who, as he himself acknowledges, rarely gives interviews but agreed to make an exception for this film. Also included is the Pope’s address to Russian Orthodox believers, specially recorded for this documentary.